The Monday release of an autobiography by Radhanath Swamy, a senior ISKCON seer, has shocked many devotees. 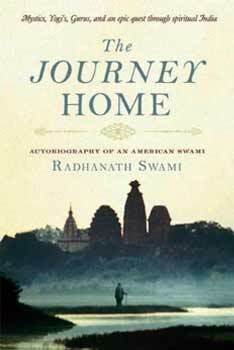 The Journey Home — Autobiography of an American Swamy skips a significant chapter about the murder of Sulokana Das murder case, that shook the American chapter of ISKCON in 1985. 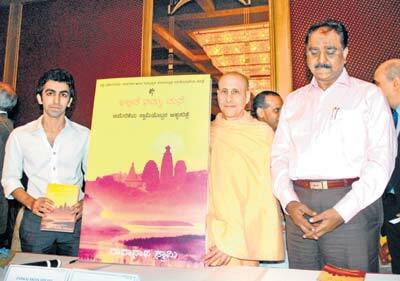 Radhanath said he skipped the episode because he thought it was not necessary for the story of the book: “The book is a memoir and a travelogue, so why should I mention each and everything here?” However, the author narrates his life story in a first person’s account, so the book reads as an autobiography. “If an autobiography skips an incident, then we must call the life of the author a big lie,” said a devotee of ISKCON. The murder of Sulokana Das, a member of New Brindavan, an ISKCON branch in West Virginia, came to light in early 1980′s and the US court convicted Kirtananda Swamy to whom Radhanath was closely associated. Shankar Mahadev Bidari, the police commissioner, was one of the guests at the book release. “The murder occurred and was heard in America. Why should I know about it?” he said. Radhanath Swamy was previously known as Richard Slavin, and he is an American born in Chicago. Slavin gravitated toward ISKCON in 1972, when Srila Prabhupada propagated the society across the US. After changing his name to Radhanath, he played a key role in forming New Brindavan in West Verginia, and was seen as a close disciple of Kirtnananda Swamy.